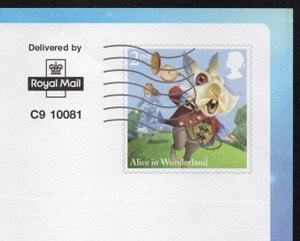 We've previously mentioned the use of the 2nd class and 2nd class Large Machin design, and the Alice in Wonderland stamps printed on to mailshots as Postage Paid Indicators. 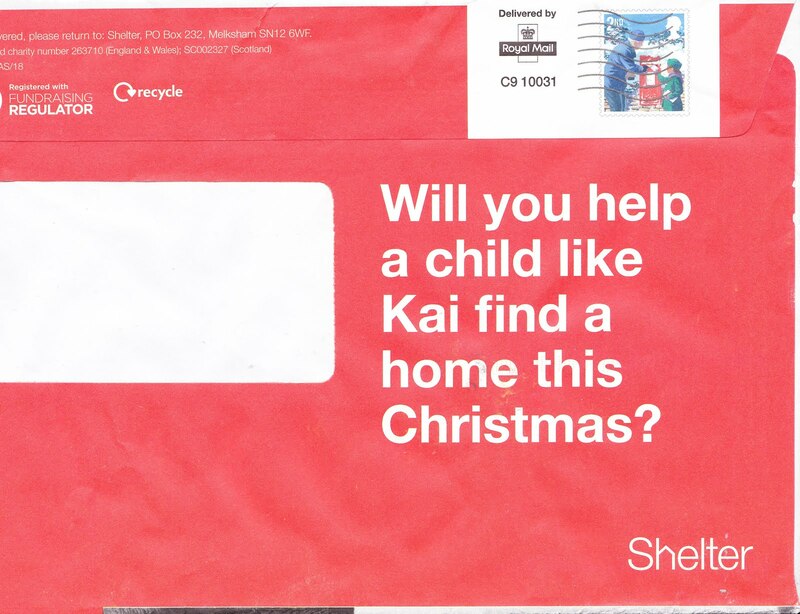 Now RW has sent this picture of this year's mailings from Sainsbury's supermarket which uses the new 2nd class design on their mailshots. 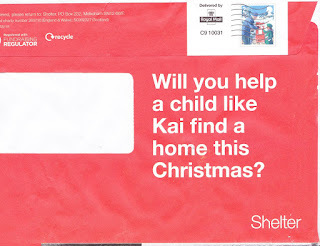 Update: Thanks to RH for this one from the charity Shelter. 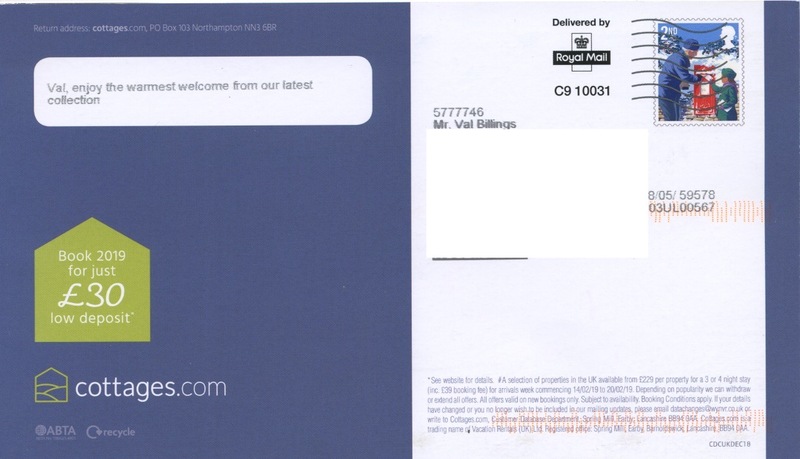 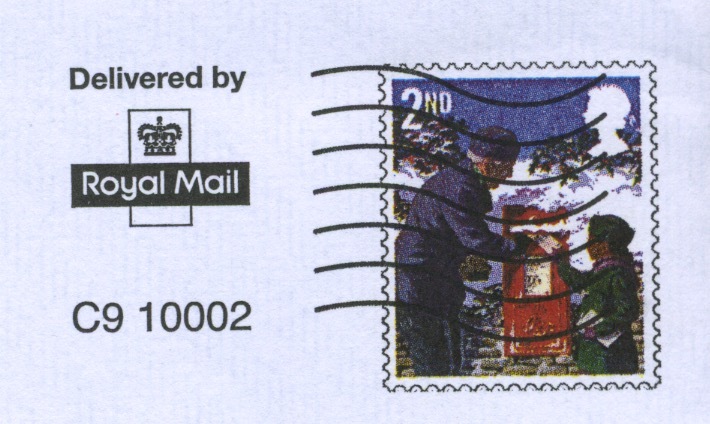 JE has sent another example of the 2018 design, "The attached example bears the downstream access licence C9 10020 of Citipost Mail, and mailing was from Serious Readers, purveyors of expensive reading lamps. 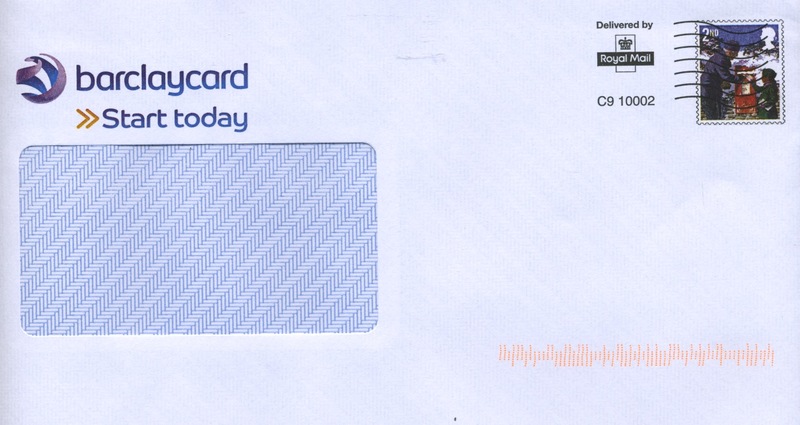 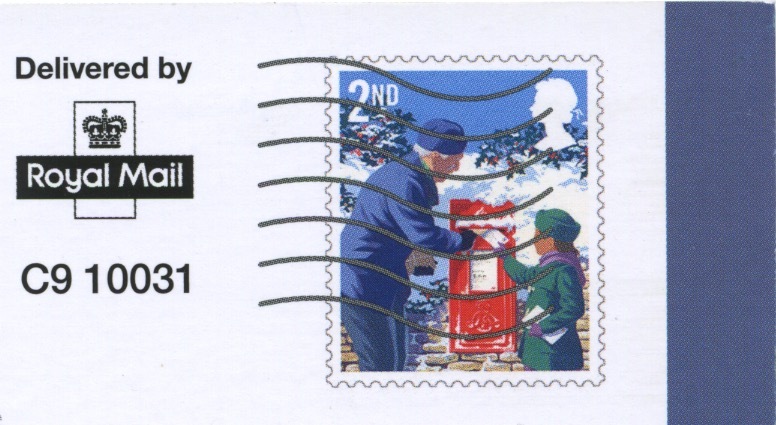 Of course, the 'stamp' does not need to be cancelled, and the pre-printed wavy lines should stop Integrated Mail Processors from applying a cancellation, but in this case the Preston machine sorting this batch of mail did apply a full cancellation - at 00.03am on the day of delivery." 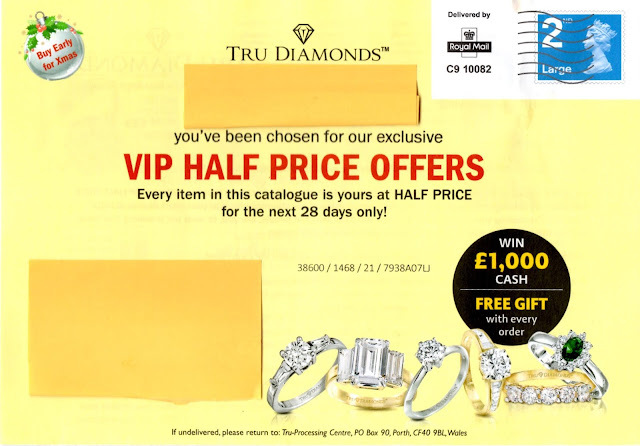 Update 3 December: Thanks to TR who has sent this example of the rarely-seen 2nd Large imprinted stamp on a mailshot from Tru Diamond with license 10082 in the Condition 9 access system. 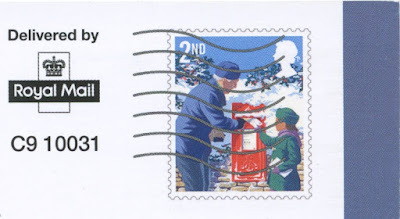 There will probably be other users of this design at this time of year, so I look forward to seeing what else you find.